Both in their 30’s, these graduates are professionals and enthusiasts. 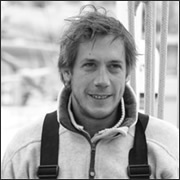 During three years, Brice and Hervé have sailed around the world aboard a sailboat: Kifouine. They have covered 41 000 miles and gained extensive experience in navigation. Their journey has led them to the Terra del Fuego. They now offer you to discover and share their love for this region. The adventure out of the ordinary they have conducted with 45 disable young adults (7 stops, conducted around the world) has gained them an extensive experience in organizing and running trips. 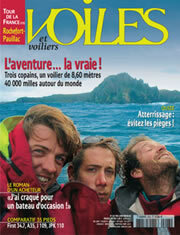 They wrote a book about their adventure: Kifouine un tour du monde en soliDaire (Le Cherche Midi Editeur). During the cruises they offer, they will share their passion for the sea. Friendliness, curiosity and humor: you will not be disappointed to board with them !